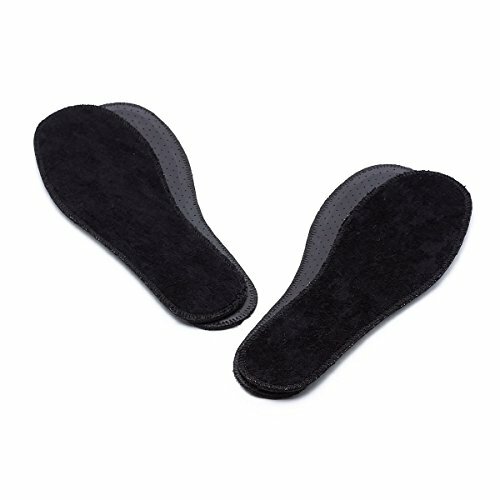 The terry cloth insole is made of black latex foam and natural pure cotton black terry fabric. It is soft, flexible and perforated to significantly improve your comfort and air circulation in the footwear. Summer pure cotton terry barefoot insoles are suitable for summer shoes, sandals, ballet flats, high heels, slippers. They make you comfort and relax, moreover it is a perfect option to absorbs and disperses moisture. It is recommended especially for use during short and intensive physical effort. 1. Wet the entire insoles with cold water. Apply a small amount of shampoo to a clean sponge. Clean entire area. Rinse clean in cold water. Reshape by stuffing with paper towel. 2. Allow to dry naturally and slowly in the shade. Do not use forced drying. If you have any questions about this product by LAMBAA, contact us by completing and submitting the form below. If you are looking for a specif part number, please include it with your message.